A good estate planning attorney realizes that a person’s health and well-being is just as important, if not more so than his or her financial security. Florida lawmakers have realized this as well, and have codified laws in this state to protect every person’s fundamental right of self-determination when it comes to making health care decisions. These new laws allow a Florida resident to designate a health care surrogate to ensure the person’s right to make a decision about his or her health is not lost to physical or mental incapacity. What is a Health Care Surrogate in Florida? A health care surrogate is a person the client appoints to make health care decisions for him or her if the client is unable to make a choice. This is usually a person the client trusts such as a spouse, relative, or close friend. However, the client can name just about anyone to be a surrogate as long as this person is a mentally competent adult. Once the client has selected a surrogate, it is important the client communicates with the surrogate and expresses his or her wishes to this person. For instance, the client should tell the surrogate if he or she would like to receive life support during a coma even if doctors believe the chances of recovery are small. The client should discuss if he or she would like feeding tube support if he or she ever becomes physically incapable of every moving again. A Florida Designation of Health Care Surrogates is one of many aspects of a Good Florida Estate Plan. SuperLawyers ranked the attorneys at our firm as some of the top estate planning attorneys in the Jacksonville, Florida area. The lawyers here can prepare a Designation of Health Care Surrogate document that will allow the client to fill out the form and to make informed decisions that will guide their surrogates through the decision-making process. We do not want our clients to confuse a Designation of a Health Care Surrogate with a Florida living will. We often include both of these documents in an estate plan. A living will disposes of a person’s property after his or her death and also appoints a person to serve as a personal representative of the estate. A health care surrogate makes decisions on behalf of the client when he or she is alive but incompetent. Along with these forms, the estate planning attorneys at this firm also include an HIPAA release form. This form allows the client’s surrogate to access the client’s medical records and health care providers so the surrogate can make more informed decisions. The current law even prevents a spouse or family member from speaking with the incompetent person’s doctor or provider, so it is imperative that every estate plan has this document. 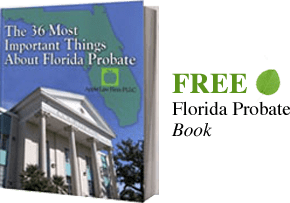 The estate planning attorneys often prepare a single estate plan that includes a Florida Living Will, Florida Designation of Health Care Surrogate, and Florida HIPAA release. These documents allow our clients to prepare for a future where they can receive the treatment they want. The attorneys hope these documents will also provide our client’s peace of mind by making decisions now on how they will be treated in the future. If you need help deciding which type of Medical Powers of Attorney you need, you should contact a Florida Medical Power of Attorney Lawyer. Law Office of David M. Goldman can provide the guidance you need to make the right decision for your individual set of circumstances. TO SET UP A Free Consultation*, CONTACT A FLORIDA MEDICAL POWER OF ATTORNEY LAWYER ONLINE OR CALL US AT (904) 685-1200.